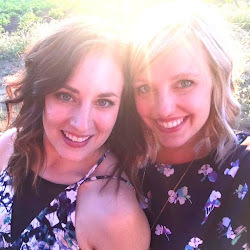 A few weekends ago Katie H, the roomie, and I hosted a cocktail party at my apartment. I decided to make Greyhounds because they're so easy and so good (recipe coming soon), but I also wanted to try something new, preferably with gin to mix things up a bit. My first idea was to do Southsides which were introduced to me by Josey at Drink. They're basically mojitos but with gin instead of rum. But mint is super expensive, especially when you're buying enough for a party of 12, so I had to nix that idea. 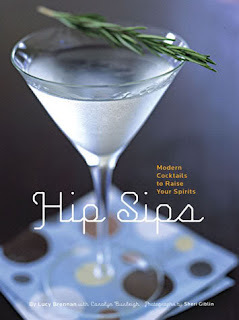 I decided to turn to Lucy Brennan's book Hip Sips for some inspiration. Lucy is the mixologist at Mint and her book is great. Her Tom Collins recipe looked pretty simple to make and sounded good too so I decided to go with those...and I'm so glad I did because Tom Collins is officially my new favorite drink. Simple, refreshing, and pretty darn cute when you add a cherry and a colorful straw, this drink was a hit with my guests and will definitely be one of my go-to drinks from now on. You'll want to make this first because it needs to cool down before you use it. Step 1A: Combine 1 cup of sugar and 1 cup of water in a saucepan. Step 1B: Stir with a wooden spoon over medium heat until the sugar has completely dissolved. I'm convinced that the freshly-squeezed lemon-lime juice is what makes this drink so good so I would advise against taking the easy route and going with store-bought juice. Lucy's original recipe calls for equal amounts of lemons and limes but due to our budget we ended up going with a 3:1 ratio of lemons to limes. Our limes were pretty big though so you might want to think more like 2:1 if you're using small limes. Katie H. and Avi juicing it up. I love my Cuisinart juicer and everyone kept volunteering to take a turn so I guess they loved it too. Step 4: Garnish with a cherry, add a straw and enjoy!